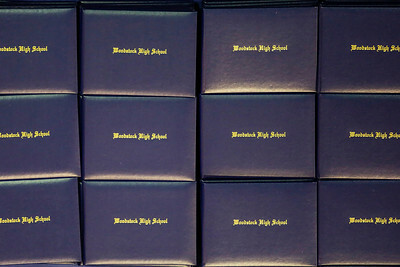 Lathan Goumas - lgoumas@shawmedia.com Diplomas sit on the table during the 2013 commencement ceremony at Woodstock High School in Woodstock, Ill. on Sunday, May 19, 2013. 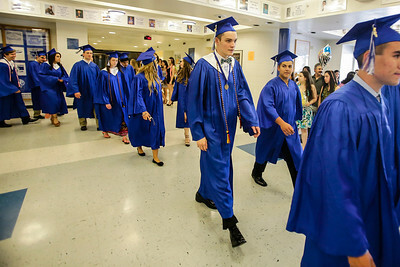 Lathan Goumas - lgoumas@shawmedia.com Graduates walk into the school gym during the 2013 commencement ceremony at Woodstock High School in Woodstock, Ill. on Sunday, May 19, 2013. Lathan Goumas - lgoumas@shawmedia.com Courtney Daltn. 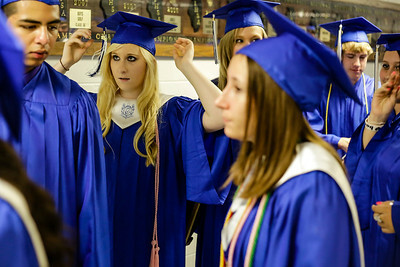 18, adjust her mortarboard prior to the 2013 commencement ceremony at Woodstock High School in Woodstock, Ill. on Sunday, May 19, 2013. 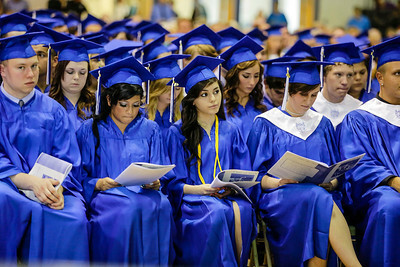 Lathan Goumas - lgoumas@shawmedia.com A graduate fans herself with the ceremony program to keep cool during the 2013 commencement ceremony at Woodstock High School in Woodstock, Ill. on Sunday, May 19, 2013. 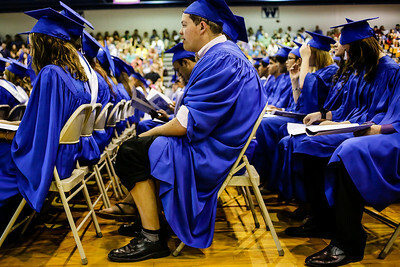 Lathan Goumas - lgoumas@shawmedia.com A graduate sits with his pant legs pulled up to keep cool during the 2013 commencement ceremony at Woodstock High School in Woodstock, Ill. on Sunday, May 19, 2013. Lathan Goumas - lgoumas@shawmedia.com Graduates during the 2013 commencement ceremony at Woodstock High School in Woodstock, Ill. on Sunday, May 19, 2013. Lathan Goumas - lgoumas@shawmedia.com Graduates do a dance called the "roller coaster" during the 2013 commencement ceremony at Woodstock High School in Woodstock, Ill. on Sunday, May 19, 2013. 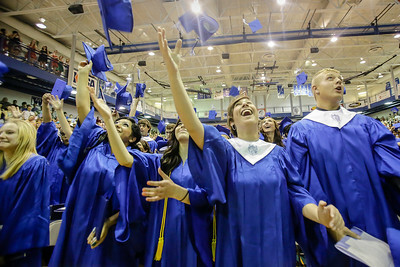 Lathan Goumas - lgoumas@shawmedia.com Graduates throw their mortarboards at the conclusion of the 2013 commencement ceremony at Woodstock High School in Woodstock, Ill. on Sunday, May 19, 2013. 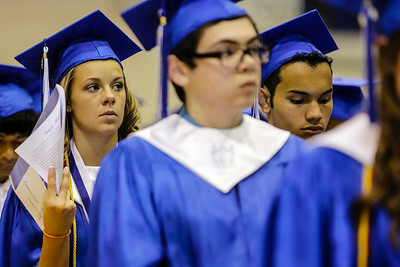 Lathan Goumas - lgoumas@shawmedia.com Graduate Dominika Bazyl, 17, kisses her boyfriend August Potje, 16, following the 2013 commencement ceremony at Woodstock High School in Woodstock, Ill. on Sunday, May 19, 2013.